More 4 Mom: Chloe designer sunglasses for under $100! Chloe designer sunglasses for under $100! 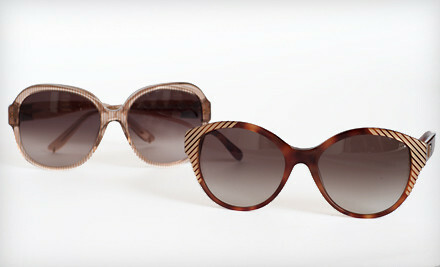 Groupon: $89 for Chloé Women's Sunglasses (Up to $414.99 List Price). Free Shipping. I want to look fashionable, but I can't take the price tag! Luckily, Groupon has me covered with this amazing deal on Chloe Sunglasses. Look out fall fashionistas, I'm coming.